If you’re interested in giving yourself a health boost without all the fuss, we at The Om Shoppe & Spa recommend diffusing essential oils! Diffusion is the process through which particles from a particular substance, through vibration, spread throughout a space. By utilizing one of our several diffusing devices, you can introduce the health benefits of an essential oil into any environment! We at The Om Shoppe & Spa wanted to share with you some ways you can use an aromatherapy diffuser to achieve maximum health. 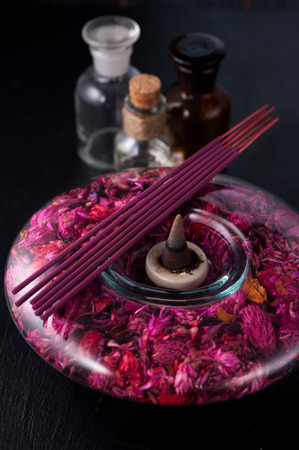 Certain scents naturally encourage drowsiness, deep rest, relaxation, and restoration. Lavender essential oil is excellent for relaxation in sleep and reducing nightmares. Vetiver essential oil encourages sleep and soothes the body, creating a state of deep comfort. Simply turn on your diffuser before bed and these smells will help you sleep comfortably throughout an entire night. With so many distractions in today’s day and age, it is easy to lose focus and lose track of where we are, especially with so much information present in the environment. When we get overwhelmed or tired, we lose the cognitive ability to focus, instead conserving our energy for physical movement. Certain smells can help combat the mental fatigue that sets in after a day at the office. When diffused, rosemary essential oil aids individuals’ mental endurance, allowing people to focus on problems or challenges for a greater amount of time. For some of us it is difficult to fall asleep. But for others, it is hard to stay awake. Instead of caffeinating the body, consider diffusing an essential oil instead. All citrus essential oils are excellent stimulants which keep the body and mind energized and alert. This is a useful combination for students or those working on large projects. Every day we diffuse lemon essential oil into The Om Shoppe & Spa, something which keeps our environment perky and clean. Diffusing essential oils can even have a powerful impact on mood. Certain smells are associated with positive sensations and feelings, and when these are diffused they allow us to feel elated and happy. The most powerful of these is ylang ylang essential oil, known for its euphoric qualities. Diffuse this and you’ll say goodbye to negative thoughts and ruminations! 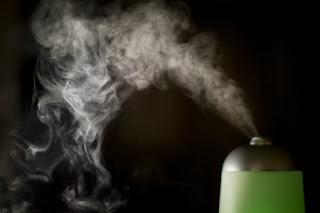 Certain smells can be beneficial for the physical body. When we are overstressed, this manifests as inflammation in the body. Inflammation leads to the body activating its stress response. When this stress response is prolonged, our immune function decreases and often dis-ease sets in. One easy way to combat this is by diffusing ginger essential oil! Ginger is an excellent anti-inflammatory and when diffused through the air serves to stimulate us and reduce inflammation. These are just a few of the many ways you can derive health benefits from diffusing essential oils. With such little effort, you can see why we recommend this method of boosting your health! We at The Om Shoppe & Spa carry a variety of essential oils to meet any of your health needs. Stop in and we’d be glad to assist you in selecting the right essential oil for your body. In honor of our passion for aromatherapy, we wanted to highlight a few trending products which represent the variety of ways you can diffuse your essential oils. 1. 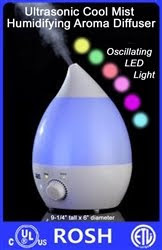 Ultrasonic cool mist diffuser: the perfect device for diffusing oils. This powerful mister will spread an aroma throughout a large space! 2. Aromatherapy candles: not wanting to diffuse? you can still get your aromatherapy benefits by burning these clean-burning candles! 3. 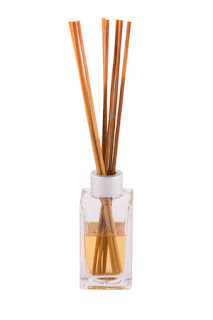 Plug in diffuser: these small aromatherapy diffusers are perfect for any space. Simply plug in and the rest is magic! Stop by The Om Shoppe & Spa today for any of your aromatherapy needs!